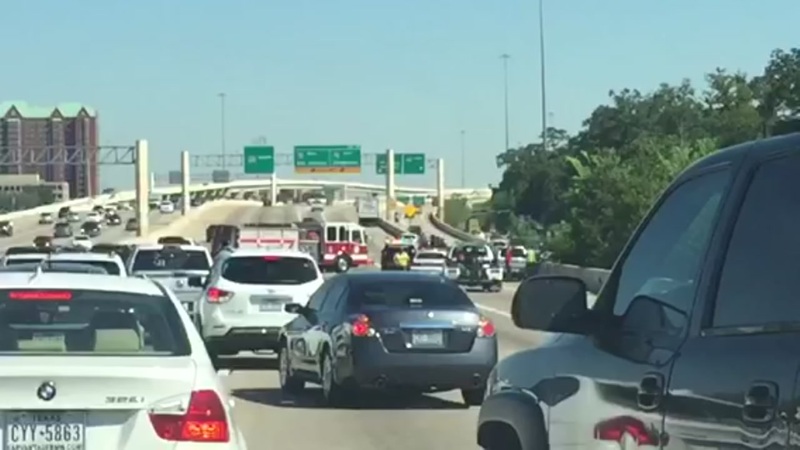 HOUSTON (KTRK) -- An accident involving three vehicles is backing up traffic on the 610 West Loop northbound near I-10 Katy Freeway. The accident happened just before 10:30am. Emergency vehicles are at the scene working to clean up the mess. Drivers are being diverted to the left lanes, as the wreck takes up the two center and right lanes, in addition to the right shoulder.